Education technology start-up Byju’s has cut down its net losses by more than half while at the same time improving its revenues by more than twofold as it gears up for a global foray. 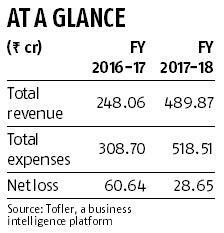 According to its filing with the registrar of companies sourced through business intelligence platform Tofler, the Bengaluru-headquartered company reported a net loss of Rs 29 crore in the fiscal year ended 31 March 2018, a reduction of 53 per cent over the last financial year. The revenues of the company, however, saw a steep jump of 97 per cent at Rs 489.87 crore, backed by its increased base of paid subscribers even though the expenses also saw an increase. In the period under review, the total expenses of the company for FY18 stood at Rs 518.51 crore as compared to Rs 308.70 crore in the preceding year. The company, which is backed by marquee investors such as Naspers, General Atlantic and Naspers, currently has a base of 30 million free users and 2 million paid users. The improved financial performance of Byju’s comes at a time when the company saw its valuation soaring to $3.8 billion, when it raised $540 million in a round led by South African conglomerate Naspers, with participation from Canada Pension Plan Investment Board (CPPIB) in December. That made Byju's the most valuable educational tech companies in the world. 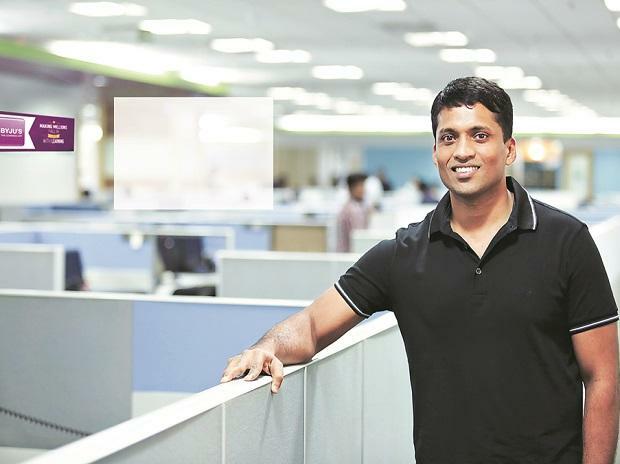 The Byju Raveendran-founded company is now making lot of investments in technology-enabled learning products while firming up plans to expand into international markets. Starting from January, the unicorn start-up plans to launch in global markets such as the United States, UK, parts of Europe and Australia, targeting the age group of 3-8. In India, it is also expanding its bouquet of products by catering to Class 1-3, in addition to Class 4-12 segment where it is already present. Recently, the firm has also announced that it is on its way to touch a revenue mark of Rs 1,400 crore by March 2019.